Story templates are a growing trend on Instagram these days. Businesses and influencers use them to create their own brand stories with a uniform tone, color, style, and format. 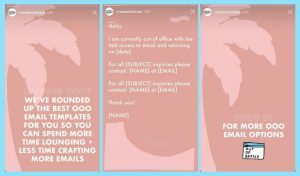 So how can I use Instagram stories templates? 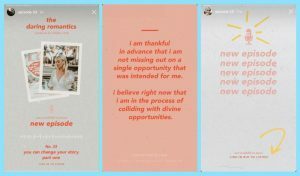 This blog has everything you want to know about using Instagram story templates for your business, and how to create them on your own. What are stories templates on Instagram? Story templates are pre-made layouts with text, graphics or animations that you can edit to create a new story. So basically they are a starting point for creating your stories. 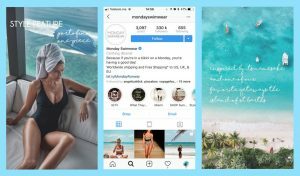 If you use the same templates for all of your Instagram stories, you can create on-brand, cohesive stories that align with your brand as a whole. 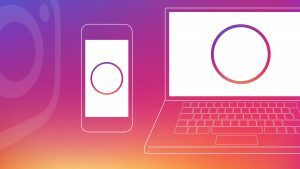 Instagram stories disappear after 24h, but its essential to integrate your brand when designing stories on Instagram. This is as simple as using the same font all the time or using the color of your brand on the story. 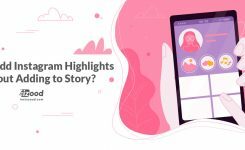 So as Instagram stories continue to grow among users, brands are taking stories more severe, and they are trying to create highly designed stories to stop people from swiping past or exiting their story. If your Instagram stories style and design don’t match the theme and niche of your profile page, you are missing the opportunity to introduce your brand to new people, build brand recognition and leave a good first impression. So if you want people to pause on your story and remember your brand, I would recommend using Instagram stories template to you. Also, using templates can save you some time, because you can quickly create the stories ahead of time and when you want to post, you can just add in texts or tags and upload a photo and done! You can use the design and style of your website (font, logo, color palette and tone) on your templates to build brand awareness for your business. 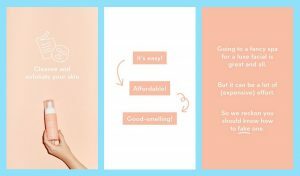 By using simple templates, you can focus on using the same brand color as the background or the accent color in each of your Instagram stories. Sometimes the ‘’swipe up’’ link in Instagram stories can be missed so you can include an additional call to action in your story design to drive more traffic to your link and grab your audience’s attention. You can use your stories templates as series, this way you can build a loyal following and make them come back for more. Your followers will know what to expect next so they will tap forward for more! Also these ‘’fill in the blank’’ templates are great for posting on-the-go. Now that you find out about the benefits of using Instagram templates for your brand, its time to create your own. You don’t have to use any fancy software to create a good Instagram stories template for your brand. All you need is Instagram and a strict style guide. Your story template should be simple, beautiful and reflect your brand’s tone and style. The good thing about creating a template on the Instagram app is that you can continue posting your stories spontaneously without editing them on your laptop or the other app. This is an excellent way to create stories on-the-go.Photoshop is an excellent app for this course. You can create your templates manually on your computer, and type on it with an app on our phone every time you want to post. Need a hand with growing your business on Instagram? After all, you should have a certain audience base before trying to build up your brand through Instagram stories templates. 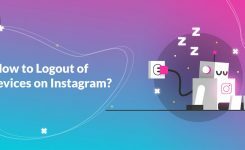 So if you are just starting a business account on Instagram and don’t have the time ( or don’t know how) to promote your account and gain followers on Instagram, I can recommend using Instagram automation tools to you. You can automate all of your activities on Instagram as likes, comments, follows/unfollows and save a lot of time for your self. Instagram bots are your way to go. 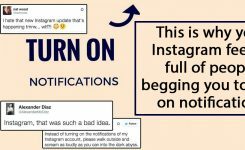 So you can search for the best Instagram bot online, find the right one for your course and start growing your account.